Bat Conservation Ireland is a company limited by guarantee and with charitable tax exemption status. We are governed by a Revenue-approved Memorandum and Articles of Association. We have signed up to the Governance Code for Charities. We are currrently working on GDPR compliance and can assure members, volunteers and anyone who engages with us through our website, that we will never share your information with 3rd parties. BCIreland does not carry out bat surveys for developers or landowners. If you require the services of a consultant bat worker, we recommend that you search the directory of Chartered Institute of Ecology and Environmental Management (CIEEM). However, please note that the CIEEM list of consultant bat workers is not exhaustive. disseminating educational materials, giving talks and leading bat walks, running detector workshops and bi-annual conferences, and regularly updating the website www.batconservationireland.org which provides information about bats, downloadable reports and acts as a portal to sources of bat information. providing a central repository for bat records and data sharing with appropriate agencies. The committee of Bat Conservation Ireland works to ensure the BCIreland complies with its legal obligations and requirements, as well as providing policy direction and guidance. The committee includes nine individuals interested in the work of BCIreland. Committee members and Company Directors are appointed at the AGM. Committee members contribute their time voluntarily. If you are interested in becoming more involved with Bat Conservation Ireland, please contact us. 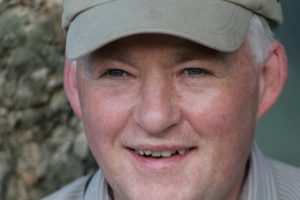 Brian Keeley was a founder member of the Dublin Bat Group in 1989 and has been based in Meath since 2001. He was also a founder-member of Bat Conservation Ireland. He works as a self-employed consultant mammalogist and has particular expertise in bats. He has a keen interest in Irish wildlife conservation and, together with his wife, Donna, manages his 43 acre farm for wildlife. They are both active with the Bailieborough branch of the Irish Wildlife Trust and have established a network of IWT nature reserves in the North Meath, Cavan and Monaghan area on farms volunteered by the owners for this purpose. Bats have been one of the groups of species that have benefited from measures upon the farm including pond creation, tree planting and bat and roost box erection. Planting for birds and insects have also been a great success. Brian has been evaluating the use of different bat boxes and building features on the farm for bat roosting purposes. To date, three species have availed of the roost options while other species have been noted feeding and commuting through the farm but not yet known to roost here. Brian has been keeping a check on the use of some bat boxes in winter and has found that even then bat boxes may be of use to bats. Brian is a BCIreland Director. Tina has an honours degree in Environmental Science from NUI Galway and completed a Ph.D. thesis on the impact of the Rural Environmental Protection Scheme (REPS) on lowland farm habitats in the west of Ireland. For her extensive work in relation to bats and facilitating members of the public to become actively involved in the conservation of Irish bat species, Tina was awarded Distinguished Recorder of the Year 2011 by the National Biodiversity Data Centre. For the last 12 years she has run her own ecological consultancy based in Co. Cavan, and has amassed a wealth of bat field experience, working on both private and public sector projects. She is an active volunteer for other national monitoring schemes including the Butterfly and Bumblebee Monitoring Schemes run by the National Biodiversity Data Centre. She lives near Virginia and in her spare time can often be found cycling the roads near her house or swimming in Lough Ramor. Chris’ first degree was in Botany. He has been working as a consultant ecologist for twelve years and on bats for the last eleven. He has done work on bats at the sites of a number of proposed developments, as well as work on bats in bridges and old buildings. Chris likes to take part in BCIreland voluntary surveys (such as the Car-based Bat Monitoring project, All-Ireland Daubenton’s Bat Waterways Survey and Brown Long-eared Bat Roost Monitoring) and is also involved in recording schemes for wintering and breeding birds, flora and a number of other groups such as dragonflies, butterflies, moths, grasshoppers, fish and other mammals. Chris is a Director of BCIreland.